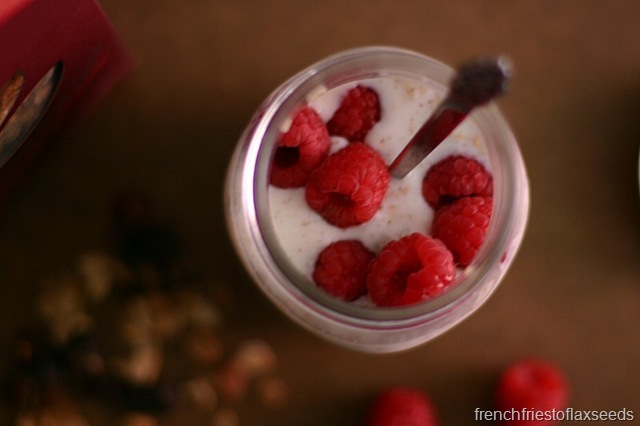 We’ve all heard it time and time again – breakfast is the most important meal of the day. And while I might not say it’s the most important (I think all meals are pretty important), I do think we should all start our day off with a delicious, nutritious meal to give us energy to take on the day. Plus, starting out your day with a healthy choices means you will be more likely to continue on making great food choices. Even if you have an indulgent meal later on in the day, at least you know you got in some good nutrition earlier on. 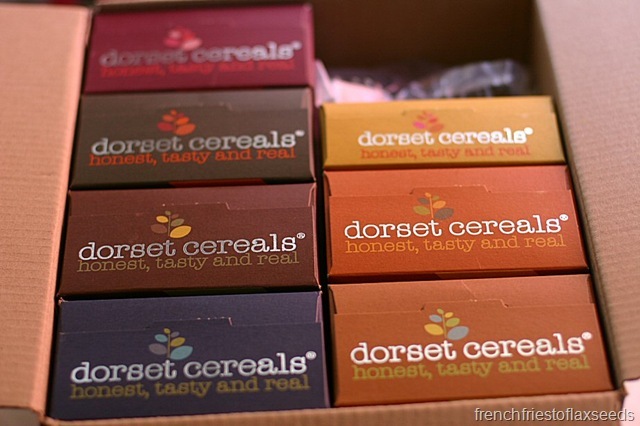 I recently found myself with the opportunity to try out the entire product line from Dorset Cereals (thanks Food Bloggers Of Canada!). 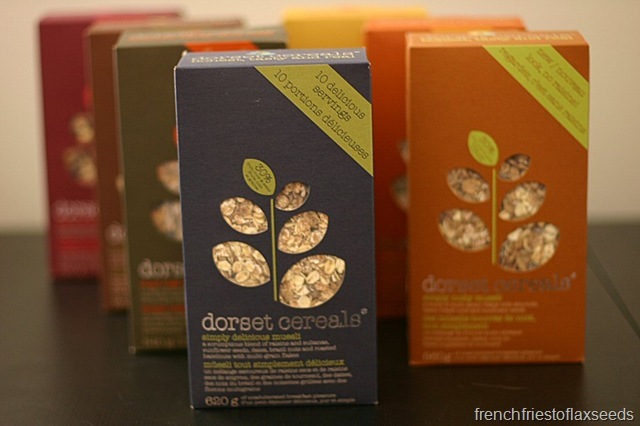 Dorset Cereals is a company based in the UK, making muesli and granola. Currently they are available in Canada in both BC and Ontario. I have seen them in a variety of stores here in Vancouver, but hadn’t yet tried them, so I definitely jumped at this chance. Not only do I love the understated simplicity of the package design (matte cardboard, windows where you can actually see the product inside), but I’m also a fan of what goes into the product. Simple ingredients you can easily recognize and a small amount of sweetener. 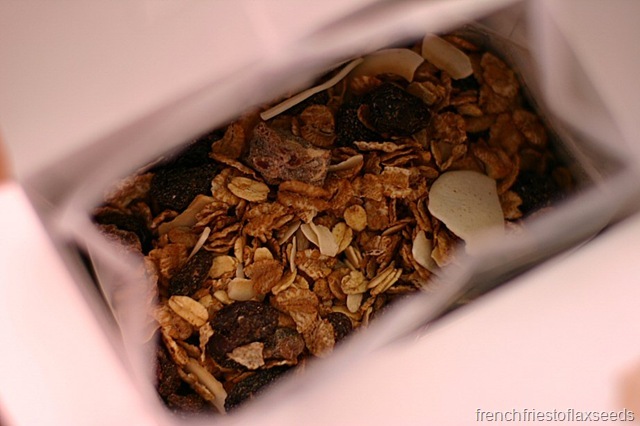 The base for all of the muesli is toasted and malted wheat, barley and oat flakes, and then they add in nuts, seeds, and dried fruit. That’s it. No added sodium, no crazy chemicals. Almost as if you made it yourself. And check out the big recognizable pieces of fruit and nuts in there. Love it! Nutritionally speaking, the product is pretty stellar. 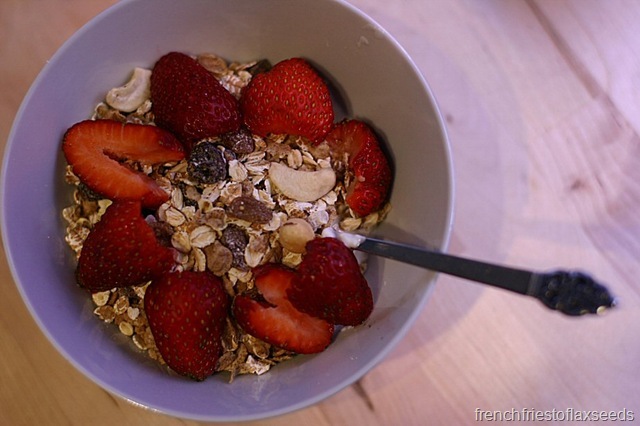 A 60 g serving of muesli (approx 1/2 cup) has 220 kcal, 20 mg of sodium, 5 – 6 g fibre, 4 – 7 g protein, and 5 – 6 g fat. All of the muesli varieties are also vegan. The granola is a little higher in kcal (60 g = 290 kcal), but that’s pretty much expected for a granola. It is also made with honey, so it is not vegan. While I have yet to make my way through every box (I didn’t want to open all of them, and then have them go stale), I have tried most of them out, and they are all great. They are great served with just milk, and you can either leave them to soak like traditional muesli or eat them right away. Because the grains have been toasted, they don’t need a long soaking time to be palatable. 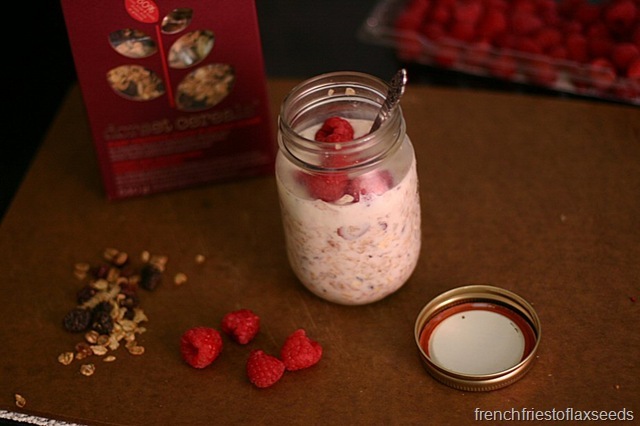 The muesli is also great mixed with yogurt and berries. Can you tell it’s berry season here in BC? See those whole cashews? Awesome. 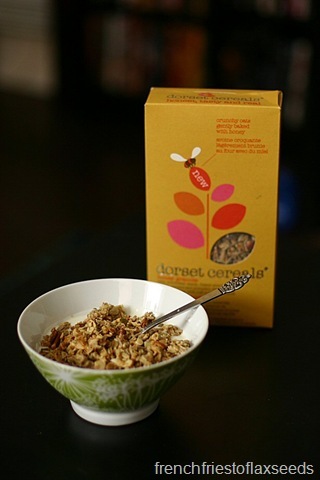 The granola is also rather lovely mixed with some vanilla Greek yogurt. It has a very neutral flavour as there are no dried fruits in it, so it would be great to pair with whatever seasonal fruit you have on hand. I even got a little creative, and decided to make muesli pancakes one morning. 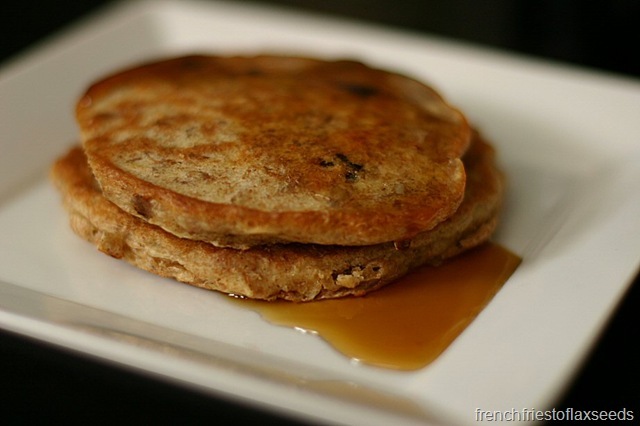 A hearty, filling breakfast, served with real maple syrup of course! Want the recipe? Stay tuned! While I’m all for making muesli from scratch, I also appreciate the convenience of being able to pick up a box at your local store, and having it on hand for a quick breakfast in the morning. Not to mention – I’m probably not going to spend the time toasting up various grain flakes, adding a bit of sweetener, etc. I think it’s great when companies can come out with a product that really is worth picking up and having on hand in your cupboard. You have to admit – most breakfast cereal items are really nothing more than processed grains with varying amounts of sugar, sodium, and preservatives added (regardless of their nutrient and health claims). It’s refreshing to see a breakfast cereal where I can actually identify each and every ingredient in the package. 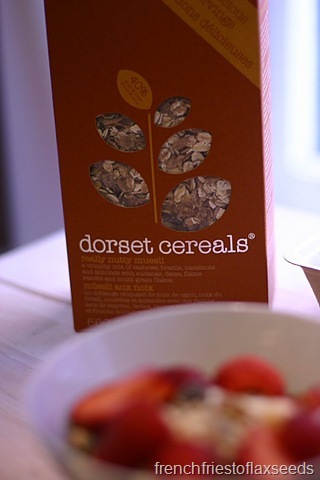 Bottom line – I think Dorset Cereals are a great choice in the sea of breakfast cereal options out there. They are healthy, tasty, and quick to prepare – no excuse to not start your day with a nutritious breakfast if you have them on hand! Give them a try if you see them in your local store. I would recommend a favourite flavour, but I enjoy them all. Disclaimer – I was provided with these samples free of charge as part of a promotion through Food Bloggers of Canada and Dorset Cereals. All opinions are my own. I’ve seen several flavours in NS and NB!